Debt Recovery Plus was established in February 2009 and offers industry leading collection rates across all sectors of our business. 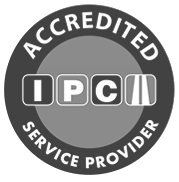 Debt Recovery Plus is now the leading provider of debt recovery services to the private parking sector in the UK. Debt Recovery Plus also collects commercial rent on behalf of some of the UK’s leading landlords and property management companies. We also collect debts for a wide variety of other operations. These include Premier League football clubs, nationwide solicitors, major financial institutions, housing associations and numerous other businesses. We operate a UK wide network from our head office in Manchester and employ over 70 full time professional agents, enforcement officers and investigators all trained to the highest professional standards. How do you WANT to pay to park? Scottish motorist ordered to pay £24,500 for historic unpaid private parking charges. © 2017 Debt Recovery Plus Limited ALL RIGHTS RESERVED. Debt Recovery Plus Limited. Registered in England and Wales. Registered office: 78 York Street, London, W1H 1DP. Company Registration No. 6774150. VAT Registration No. 977956045.